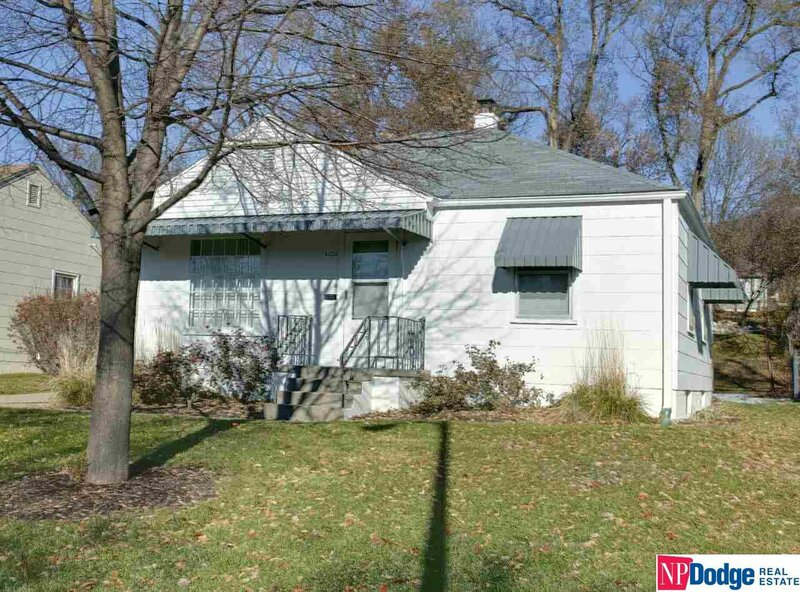 Charming 2 BD, 1BTH ranch in desirable location. Close to Dundee, Midtown & UNMC. Very nice front yard features awnings and an oversized one-car garage. Fresh paint inside & out. Pretty arched doorways throughout home. Large living room w/ ceiling fan. Kitchen has painted cabinets, tile floor & newer appliances. Bath has tile floor and shower/tub combo. Large private backyard has no neighbors and mature trees with easy alley access. Washer & Dryer stay. Service One Home Wty.